Marumoto will take office next month. TOKYO -- Mazda Motor named Americas chief Akira Marumoto its new CEO as the second-tier Japanese carmaker -- with its limited r&d budget and reliance on old-school combustion engines -- confronts big challenges in the new era of electrification, autonomous driving and connected cars. 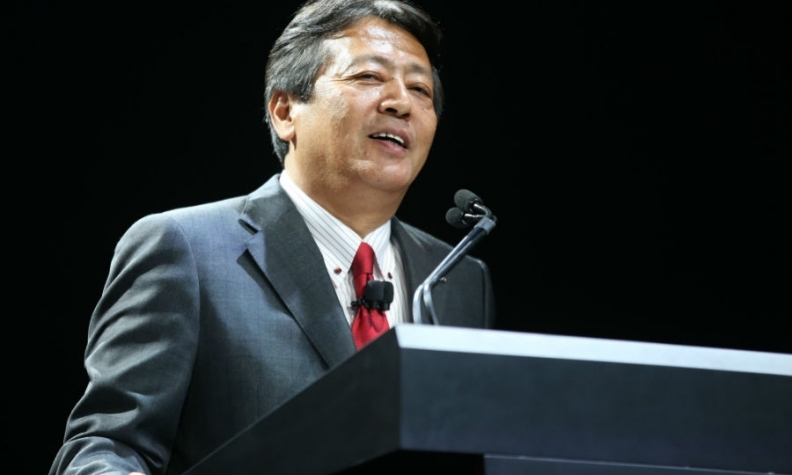 Marumoto, 60, currently Mazda's executive vice president, will take office June 26, pending approval at the company's annual shareholders' meeting that month, the company said in a Friday news release. He takes the baton from Masamichi Kogai, 63, the production specialist who steered Mazda into its latest generation of products. Kogai will become chairman. As part of the management shuffle, Senior Managing Executive Officer Kiyoshi Fujiwara will be promoted to executive vice president in charge of North America and r&d. Fujiwara, 58, currently oversees r&d and cost innovation. Kogai has also tried to move the brand's image more upmarket to shore up profitability and secure help on urgently needed next-generation technologies through partnerships. Mazda has faced challenges on both fronts. Its image overhaul is still a work in progress the crucial U.S. market. U.S. sales were up 15 percent in the first four months of the year but dropped 2.8 percent in 2017. Still, Kogai has put Mazda on the path to next-generation products with his announcement last year of a slate of new Skyactiv-X technologies and a revamped design language. It will be Marumoto's task to execute the plan and deliver sustainable growth. The push kicks off in 2019 with a new vehicle architecture that will simplify manufacturing by underpinning nearly every vehicle in Mazda's lineup, from the CX-9 large crossover to possibly the Mazda2 subcompact hatchback. The architecture will weigh less, cost less and deliver a quieter ride with crisper handling and better rigidity. The platform's floor pan was designed to accommodate batteries for electrified cars. Also in 2019, the carmaker will launch a new generation of its Mazda Connect on-the-go infotainment system. The company isn't providing details about it but hints at something akin to ride-hailing. Mazda is calling it a "new business model that enables car owners to support the needs of people in depopulated areas and those who have difficulty getting around." The rollout continues into 2020 with an autonomous driving function dubbed Co-pilot and a second-generation Skyactiv-D diesel engine. A plug-in hybrid vehicle wraps up the drive in 2021. Key to the campaign is Mazda's Skyactiv-X engine, Hitomi's long-shot gamble. Mazda calls it the world's first workable compression-ignited gasoline engine and said it will deploy the engine in the fiscal year ending March 31, 2019.